According to Detroit Lions beat writer for the Detroit Press, Dave Birkett, Former Tiger Deuce Finch will attend the Detroit Lions rookie camp on a tryout basis this weekend. Deuce was the Kentucky Gatorade Player of the Year and Kentucky’s Mr. Football in 2008 while playing for St. Xavier. He made first-team all-state his final two seasons, ran for 1,397 yards and 30 TDs as a senior and rushed for 1,557 yards and 15 scores as a junior. Deuce was a winner and led Tiger Football to a 26-2 mark his last two years. Good luck Deuce! Once a Tiger, Always a Tiger… or may be now a Lion! 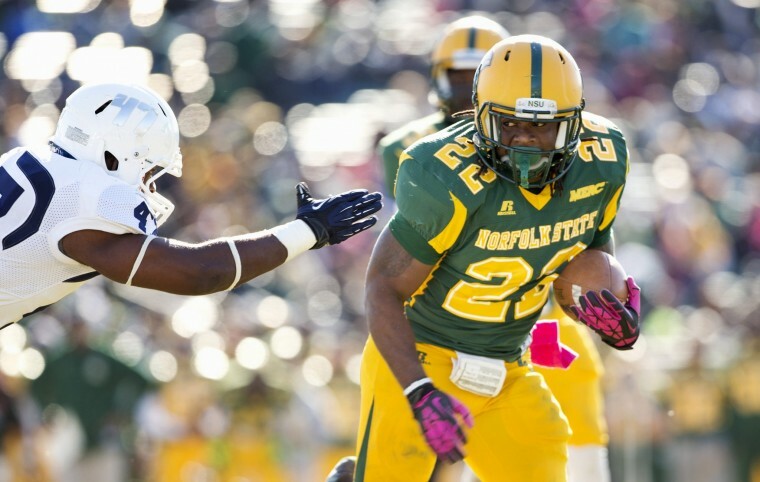 Norfolk State RB Deuce Finch will attend #Lions rookie camp on a tryout basis this weekend. Formerly of Boston College. Posted on May 14, 2014, in Former Tigers and tagged Detroit Lions, Deuce Finch. Bookmark the permalink. 1 Comment.